Twitter is the fastest and greatest way to keep in touch with the world and all your friends. But most of the Twitter members fall in hackers trap, but you can avoid these types of traps easily. If your twitter account hacked or been compromised but you are still able to log in. So this article will help you to secure your twitter account from hack and stop unwanted behaviors on your Twitter account. 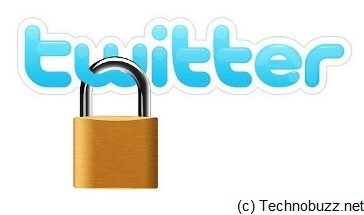 Here are the ways which help you to know that your twitter account hacked or been compromised. 1. Noticed unexpected and unwanted Tweets by your account. 2. Unexpected and unwanted sent from your account. 3. Observed other account behaviors you didn’t make or approve (like following, unfollowing, or blocking). 4. Receive any type of notification from twister lie “You recently changed the email address associated with your Twitter account” (even though you haven’t changed your email address). First thing you have to change your password immediately by selecting “Settings” from the dropdown menu next to your account name, which is listed on the top right on Twitter.com, then navigating to the “Password” tab. Or directly click the Passwords Tab here to change the password. Second thing you have to turned off access to your account for any suspicious-looking or unknown third-party applications. Visit the Applications tab in Account Settings and take a moment to block any third-party applications you are not familiar with. Click the Revoke Access button to the right of any suspicious third-party applications in the list. D- Do not share your twitter username and password with untrusted third-parties, especially those promising to get you followers or make you money. Do follow these tips always to secure your Twitter account, All these tips are really easy to use just login to your twitter account and you can protect your twitter account.